Over the past year, we have seen a number of businesses, right from retail and museums to casinos, try their hands at leveraging beacons to enhance consumer experience. However many experts today are of the opinion that one of the most exciting use case of beacons – the ‘Smart City’, is yet to come. Beacons, with their ability to bring digital intelligence to physical spaces offer great potential to improve urban living and enable smarter cities. The LinkNYC is one such project that is leveraging LTE direct, a new and innovative device-to-device technology that is touted to be the future of beacons, to take proximity marketing to a whole new level. For example, the data generated from such sensors can help city planners and others improve cities’ services and operational efficiency. Check out this article to learn how LinkNYC is paving the way for smart cities and advertising. Up until recent times, mobile app designers and developers were not required to focus on anything more than what’s happening on the mobile screen. But with the advent of beacons, contextual computing, and the Internet of Things, it has now become highly crucial for UX designers to have a clear idea about the design of the physical space where the app is likely to be used. Check out this article to gain great insights on what defines the simplicity and efficiency principles behind UX design for beacon-enabled apps. Of recent, beacons, which were initially touted as a ‘retail only’ opportunity have started to make inroads into the banking sector as well. In fact, late last year, U.S. Bank along with mobile capture software company Mitek, predicted that banks and financial institutions will see beacon usage take off in 2015. Check out this article to learn how banks such as Barclays and other credit unions are leveraging beacons to provide additional value to consumers while driving in more revenue and loyalty. 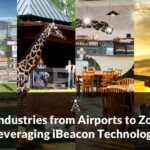 Though beacons have gained a lot of popularity of recent, beacon innovation is still in its early days. As brands and businesses experiment with new beacon UX strategies and experiences, one important factor that they need to keep in mind is that – beaconing is less about the technology and more about relevant consumer interactions. Check out this article to learn how various brands such as Lowe’s, Alex and Ani etc. are ensuring that the content and context of their proximity marketing messages provide more value to their customers. Singletrack, one of U.K’s leading mountain biking magazines, is now turning to beacons to help push sales to independent premier bike dealers. These beacons , deployed at the outlet stores of their network of dealers, will trigger an action on the mobile device of a consumer as soon as he/she comes within the range of the beacon in-store. Check out this article to learn how Singletrack plans to enhance consumer experience using their dedicated Premier Dealer App.